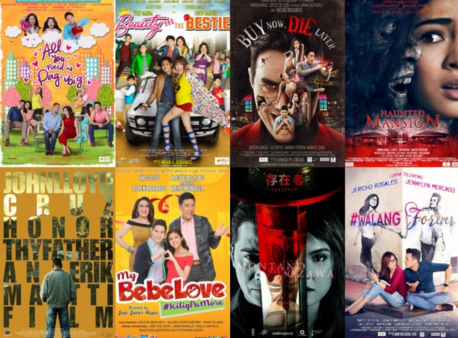 The 41st Metro Manila Film Festival (MMFF 2015) winners were announced during the Gabi ng Parangal (awards night) held at Kia Theatre in Cubao, Quezon City on December 27, 2015. The event was hosted by KC Concepcion and Richard Gutierrez. Walang Forever won big with six (6) awards, including Best Picture, Best Actor (Jericho Rosales) and Best Actress (Jennylyn Mercado). Nilalang and Honor Thy Father won 5 awards each. Honor Thy Father was disqualified in the Best Picture category by the MMFF executive committee for non-disclosure of the film's participation in Cinema One Original Film Festival 2015 as the opening film. Director Erik Matti was not at the ceremony night to receive his award for Best Director.